The playlist, which broke streaming records in its first 24 hours, continues to raise the bar seven days out. 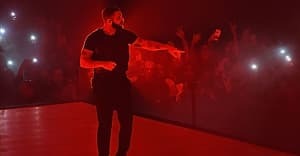 After Apple Music confirmed to The FADER earlier this week that Drake's More Life received a record-breaking 90 million streams on the service in its first 24 hours, Republic Records has today confirmed that the playlist-project's total first-week figure is around 600 million streams across all services, according to The Verge. Of that astronomical figure, over half of the streams can be attributed to Apple Music alone, which is impressive given that the service has only 20 million subscribers. The playlist surpassed Views on the service, which debuted as an Apple Music exclusive last April to a record-breaking 250 million first-week streams. More Life was debuted by Drake's manager Oliver El-Khatib on the 39th episode of the OVO Sound Radio show last Saturday, which not surprisingly also set the record for the most streamed Beats 1 show to date. “What we saw on Drake’s radio show were TV numbers,” said top Apple Music executive and music industry pioneer Jimmy Iovine, though no specific numbers were offered. While the project also broke Spotify's records for most first-day streams as well as single-day streams by an artist, both set a week earlier by Ed Sheeran, it failed to surpass the 375 million first-week streams of Sheeran's Divide on the service.